Happy Skincare Sunday! 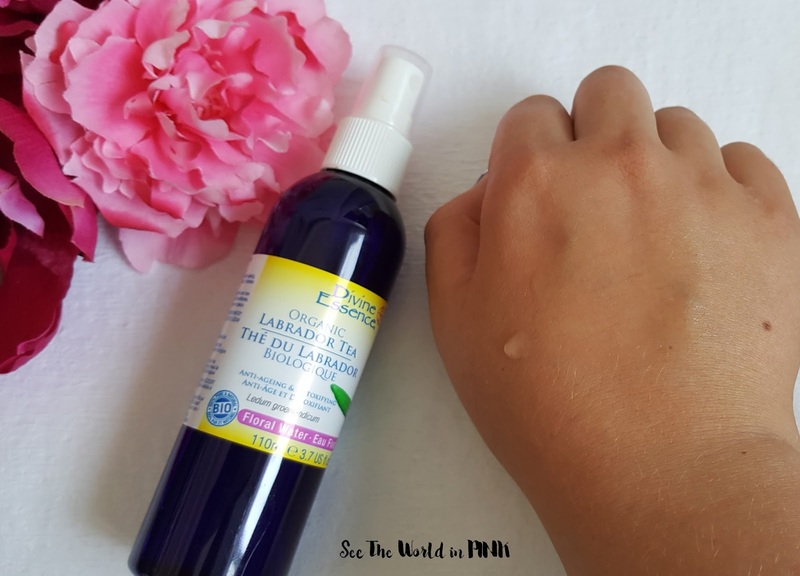 My skin loves floral water mists; but, I generally use a rose mist, so I was excited to try a labrador tea floral mist for something different! Divine Essence Organic Labrador Tea Floral Water ~ $10.99 CAN. A species of tree-like shrub found in tundras, peatlands and North American forests, Labrador Tea, or Greenland Ledum, is one of the iconic flora of the boreal forests. Labrador Tea floral water (hydrosol) soothes sensitive and sore or inflamed skin. It is well known for its purifying and de-toxifying properties. This smelled quite distinct - pine tree sap is the closest scent I can think of! But, as soon as the mist absorbs in to the skin, the scent is gone! 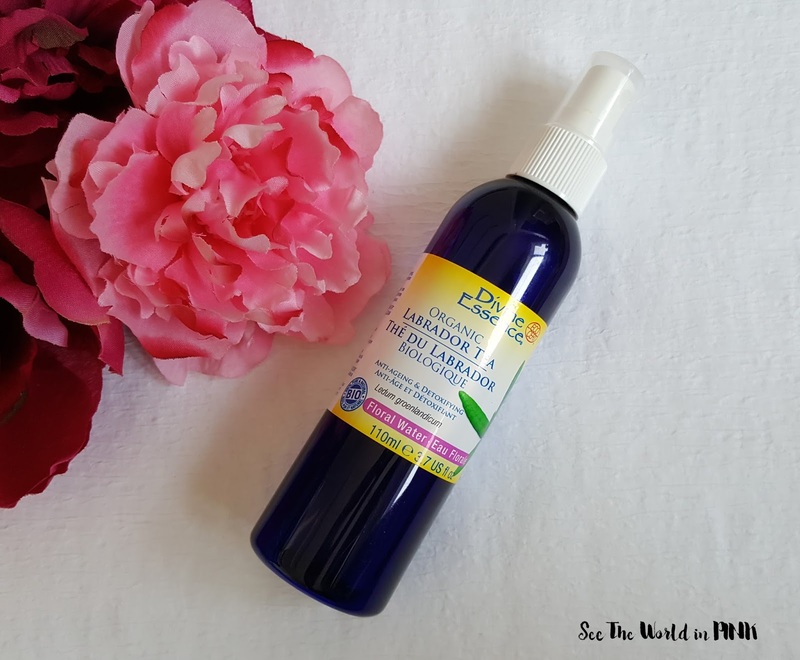 This has a great mist and covers the whole face well in 1 or 2 spritz! This is a big bottle and with that little product, this will last for a while! The mist is said to be great for calming and soothing skin - it is great for irritated skin or breakouts. This can also help fight wrinkles. I have been back to having quite a few breakouts lately, and since I have been using this mist I have noticed an improvement to my skin overall. It has helped sooth my skin post-breakout and reduce redness and texture - I have quite liked this!